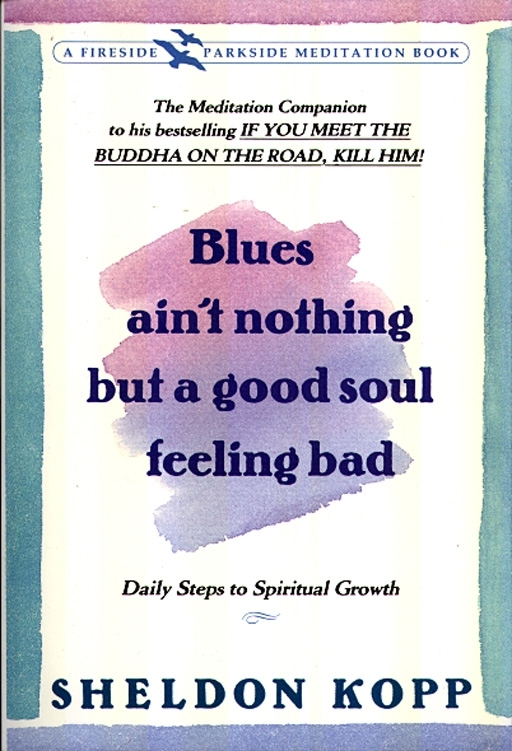 In this companion volume to If You Meet the Buddha on the Road, Kill Him! renowned psychotherapist Sheldon Kopp poses thoughts and questions about the universal uncertainties that we all face. -How do I find a self of my own? -Where am I in my life? -Who am I in my world? -Where do I go from here? Kopp doesn’t resolve these uncertainties but shows the way to find the answers that come from within. Challenging and provocative, Blues Ain’t Nothing But a Good Soul Feeling Bad helps us face our flaws and learn to accept all that we are.